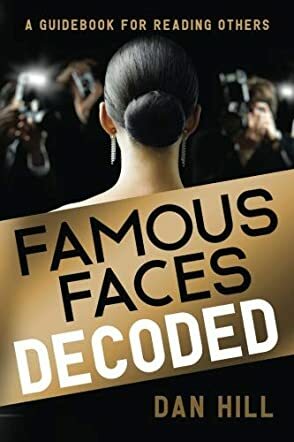 Famous Faces Decoded: A Guidebook for Reading Others by Dan Hill is an interesting book that unveils the secrets to building great relationships. In this book, the author discusses the art of reading others, an element that is essentially important in connecting with others deeply and meaningfully. In this book, the author shows readers how to understand emotions by reading the faces of famous people. Breaking down the art into different categories, readers will understand the different elements of approaching emotions, identifying emotions that are cool or cruel, or those that are outright reactive. How can you tell when someone is honest or lying, when they are evasive or engaged? This is a revolutionary book that will help readers determine who they hire in their business, who they invite to a party, who they ask for a date. In short, Dan Hill gives readers what it takes to identify the real people they need in their life or business from what is communicated through their facial expressions. There is a lot of emotional intelligence written into this book and I enjoyed how our faces become expressions of what we feel and of who we are. One is left with the unshakable impression that Famous Faces Decoded: A Guidebook for Reading Others is deeply researched and communicated with clarity. This is a well-written, informative, and intelligent book on the art of reading others with real-life examples that readers will find interesting enough to drive the message home. You will meet familiar faces, but you will see them differently after reading this book.